Considered one of the New Seven Wonders of the World, Machu Picchu is both mysterious and magical for so many reasons. Constructed by the Inca sometime in the mid-1400’s, the official purpose of the city wasn’t clear. Many archaeologists believe that it was built as a royal estate or type of sanctuary for the ninth Inca emperor Pachacutec, yet the Inca left no written records, so much of what is known about Machu Picchu is only theory. 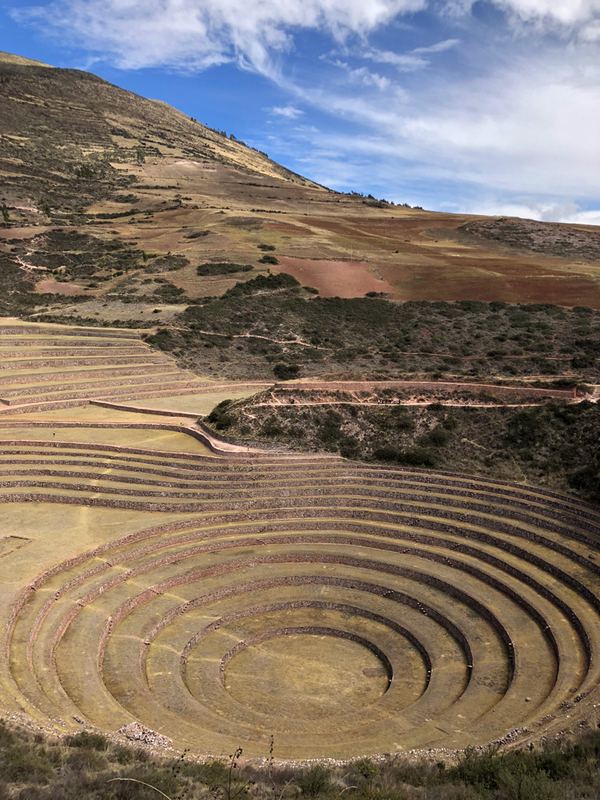 What is clear is that the site itself was meant to be an escape, hidden 7,970 feet above sea level, on a ridge between the Huayna Picchu and Machu Picchu mountains, on the eastern slope of the Andes, above what is known as the Sacred Valley. Machu Picchu was believed to be inhabited for roughly 80 years, but then all signs of life vanished after the Spanish conquest of the Inca Empire ended in 1572. Miraculously, the Spaniards never learned of, nor discovered, Machu Picchu and the locals preserved it as their best-kept secret. The site became totally overgrown by the surrounding jungle and eventually became a myth as centuries passed. Fast forward to 1911 when a young Yale professor and explorer by the name of Hiram Bingham III wanted to make a name for himself and, armed with a deep interest in the mysterious Incan empire, traveled to Peru looking for “an old Inca capital” that he had heard about from fellow historians. After following multiple leads in the region and looking for what was rumored to be the lost city of Vitcos "near a great white rock over a spring of fresh water," he finally met a farmer whose 11-year-old son ironically ended up leading Bingham up to the site. Realizing it wasn’t in fact Vitcos, Bingham organized a follow-up expedition a year later and began the major undertaking of clearing and excavating what is now known as Machu Picchu. Bingham went on to introduce Machu Picchu to the world through his articles for National Geographic, of which they dedicated their entire April 1913 issue to the site. Understandably, his life was transformed forever being considered the “re-discoverer” of Machu Picchu. He famously stated in 1922, “Few romances can ever surpass that of the granite citadel on top of the beetling precipices of Machu Picchu, the crown of Inca Land.” I’m not sure how his wife felt about that sentiment but that’s another story! There are two ways to access Machu Picchu given its altitude and location. The first and more rigorous is trekking the famous Inca Trail which can take anywhere from two to four days depending on the trails chosen. The second, which we opted for considering we were a party of nine including five kids, was the train followed by a bus which climbs the final leg of the mountain. There are a few different train options but we rode the Belmond Hiram Bingham train at the Ollantaytambo Station in the Sacred Valley, which took roughly 1 hour and 45 minutes and provided an extremely luxury experience. Arriving in the town of Aguas Calientes, we then took the shuttle bus, which took another 40 minutes. This was definitely the most nerve-wracking portion of the journey as the bus travels on an extremely narrow road with a steep incline and no barrier. When another bus comes from the opposite direction, one bus must pull over to let the other one pass, so if you’re waiting on the edge of the cliff, looking down is one thing to avoid! Once we reached Machu Picchu, it was undeniably breathtaking and magical. We spent the day touring the site, exploring the more than 150 buildings that exist and learning more about the ancient civilization that once occupied this majestic location. One of the most notable aspects of Machu Picchu is found in the construction. The structures were built using stones that were cut to fit together without mortar, giving the Incans the reputation of being some of the best masons in the world. Amazingly, many of the stones weigh over 50 pounds each and it is believed that no wheels were used to transport these stones up the mountain. Instead, hundreds of men joined together to push these rocks up the site. Because Machu Picchu has been so incredibly well preserved over the years, it is understandably considered an archeological gem; in 1983 it was named a UNESCO World Heritage site. If you are thinking about traveling to Machu Picchu, below is a brief outline of the seven-day itinerary that we followed which allowed us to also explore Lima, the Sacred Valley and Cusco, the city that is considered the “gateway” to Machu Picchu and the historic capital of the Inca Empire from the 13th until the 16th-century Spanish conquest. What’s important to note is that the altitude of Cusco is 11,800 feet above sea level, making it 3,830 feet higher than Machu Picchu and, therefore, requires a bit of adjusting. We took time to explore Cusco after going to Machu Picchu so were somewhat well adjusted once we arrived. For the moments the altitude got the best of us though, we drank coca tea or took oxygen, both supplied by the hotel and known to relieve the symptoms of altitude sickness. We arrived late and had to leave the next morning but we had the opportunity to eat at an amazing restaurant called Maido by Mitsuharu. Blending Peruvian and Japanese into what they call Nikkei Cuisine, Maido is rated #8 on the World’s 50 Best Restaurants list. We ordered the omakase and I honestly think it was the best meal I’ve ever had in my life, which is major considering I’m a huge fan of Japanese food and eat it regularly! There was so much to see in the Sacred Valley but my personal highlight of these two days was visiting the Salineras de Maras, the naturally terraced salt pools located along the slopes of the Qaqawiñay mountain. The pools are owned by different families who take care of them, collect the salt as it dries and then sell the salt as their daily living. There are over 3,000 pools, each of which is about 4 square meters. Interestingly, although the Inca are credited with many of Peru’s striking constructions, these pools were created during the Chanapata Culture (AD200 to AD900). The salt is said to be some of the best in the world and is used by many famous Peruvian chefs. Given that the altitude was higher in Cusco then any other portion of our trip, we took our explorations of the city slowly. When we needed to rest, we went back to the Belmond Monasterio Hotel which was incredibly beautiful and relaxing given that it’s a refurbished baroque seminary built in the 17th century on Inca foundations. Each room was totally unique with original artwork and, when needed, oxygen tanks could be delivered on up! We ended our trip with one final highlight in Lima: dinner at Central, currently ranked the #5 restaurant in the world and Latin America’s #1 ranked restaurant. 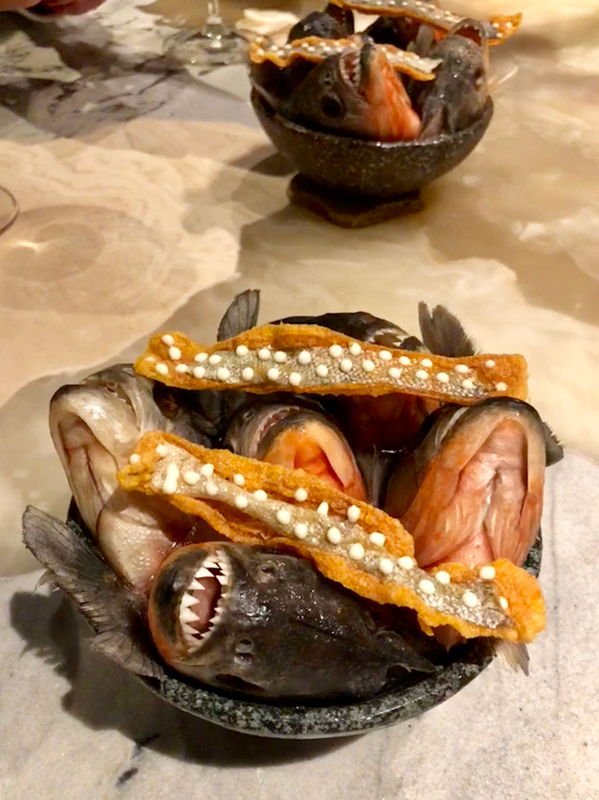 Led by chef Virgilio Martinez, Central is a culinary journey through Peru’s biodiversity and drastically different altitude regions, ranging from 66 feet below sea level to 13,500 feet above it. The 17+ course tasting menu was an unforgettable gastronomical experience and one that typically requires booking almost a year in advance so take note should you want to plan a trip! 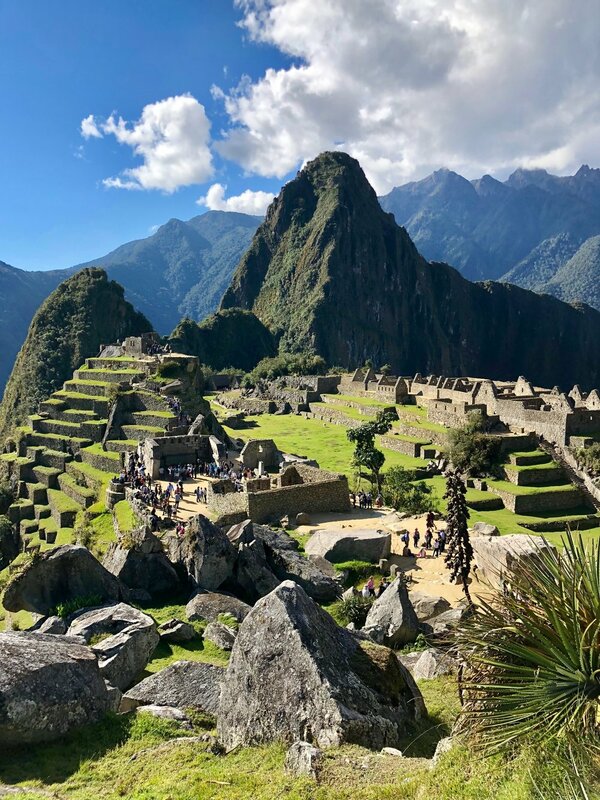 Although Machu Picchu was the main attraction, every portion of our trip to Peru was truly magical, from the food to the people, to the unparalleled scenery in each location. It is also important to know that this trip can be done on a variety of budgets, so if at some point in your life you have the opportunity to discover this incredible country, I highly recommend doing so! I hope you’ve enjoyed this travel story. If you have specific questions about my trip, please feel free to reach out directly.